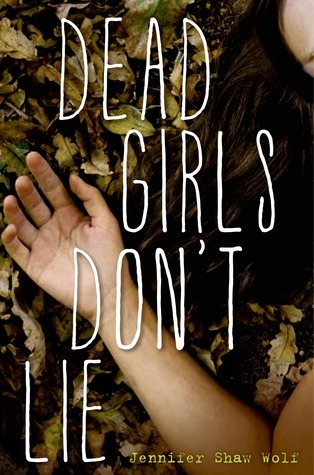 I'd have to pick Dead Girls Don't Lie because that ending still to this day has me a little upset. Reason being, the love interest turned out to be the killer (sorry for the spoiler if you haven't read it yet). I'd have loved for them to have a happy ending and the killer be somebody else. I liked the rest of the story, just not really that part. How about you? Which book would you change? Sometimes an ending can really ruin a book because it just changes everything you've been expecting! Thanks for stopping by :) I hope you have a good weekend! Ooh you never want the book boyfriend to be the bad guy in a book. That's just against book code! Is it bad I want to read this now, just so that I can see how WELL they played out this storyline? Thanks for the blog love darling. Thanks for stopping by earlier! Have a fantastic Friday. I haven't read this but I think I would agree about the ending. Romance is such a big part of books for me so an unhappy ending would really bug me :/ Thanks for stopping by! Hopping through. I haven't read this book but probably wouldn't. Do like the cover. Oh wow! Never heard of that one, but that's just a wowzer kind of ending! I probably would be upset by that one too! Haven't heard of that book but now I think I'm going to pick it up, and I'll be prepared for the ending. :) Happy Friday! Wow that ending would probably kill me! Honestly, I don't know if I could handle that,.. I'm all for a HEA.